RANK-AND-FILE gardaí have criticised a decision by management cancelling all spending on discretionary overtime. A directive issued in recent days states overtime is to be suspended, except in certain circumstances – like for court hearings – in an attempt to correct the garda budget by 30% before the end of the year. 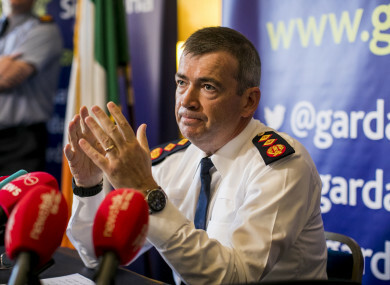 Garda sources said the organisation has gone over budget in a number of areas and there has been an overspend of more than €20 million just on overtime. Any overtime to supplement garda units is to cease and there is to be a ban on Sunday overtime. Annual leave will also be monitored to ensure adequate resources are available. Middle-ranking officers have been advised to ensure all frontline staff are told that no overtime should be incurred unless approved in exceptional circumstances. If it is, it will not be paid. John O’Keeffe, director of communications for the Garda Representative Association (GRA) said this decision will impact on the capacity of gardaí on the frontline to do their jobs. “This is an extraordinary development. As overtime is only ever incurred where necessary and must be approved in advanced. Where the requirement continues to exist, it is clear evidence of a resourcing issue. Overtime is essential if our members are to provide an effective policing service to the general public in Dublin and across the country,” he said. While excessive overtime is part recognition that frontline gardaí do not have adequate policing resources, regardless, overtime will always be a feature of policing, due to the nature of the job and the varying demands it makes on officers. This is not an Irish but a global policing phenomenon. This is just one of a number of cuts to overtime in the force in the last year. The elite armed units responsible for high-profile arrests in the ongoing gangland feud in Dublin have already seen significant cuts to their overtime. And in May, a directive issued by management stated that overtime was to be capped across the country due to an over-run in the budget of €12 million in the first five months of 2018. In June this year, Joe Nugent, the chief administration officer for An Garda Síochána told the Policing Authority that he was uncertain that the organisation could afford wages for the rest of the year. He said overtime was the “biggest issue of discretionary spending”, with 20% of the spend relating to attendance at court. One third of the overtime spend relates to a pay agreement. Nugent also told the authority that the issue had been raised with the government “for some time”. In a statement today, Garda Commissioner Drew Harris said the organisation must work within the annual budget provided to it by government. To minimise the impact on policing and security activity, while reducing the excess spend before the end of the year, I have cut discretionary overtime and administrative overtime. “Overtime will still be available for specific policing /security operations, but only with the approval of the relevant Assistant Commissioner following discussion with Deputy Commissioner, Policing and Security,” he added. A senior garda source said operations targeting gangland crime will continue, but there will be a different process for approving members’ overtime. The GRA has called on the government to sit down with Commissioner Drew Harris to “show their bona fidaes in his first weeks in office”. “The agreed overtime must now be reinstated if we are to keep our streets safe in the lead up to Christmas,” O’Keeffe said. Training, resourcing, equipment, vehicles and a safe and modern uniform must be paid for if we are to have a police force that rivals others. The Future of Policing in Ireland report [published this week] specifically made these points. The report also spoke of “waste reduction” when it came to “efficiencies” – not slash and burn. “It stated that the implementation of strategic reforms would deliver ‘substantive benefits in return for any additional investment’. This clear recommendation has now been ignored,” he added. O’Keeffe said the government needs to be especially conscious of the “signal this directive sends to the criminal fraternity”. Email “'Slash and burn': Concern among rank-and-file gardaí as management cuts overtime again”. Feedback on “'Slash and burn': Concern among rank-and-file gardaí as management cuts overtime again”.